Dr. Holcomb received his Doctor of Dental Surgery from the University of Tennessee at Memphis College of Dentistry, in 2009. Since then, he has continued his advanced training as a Spear Faculty Club Member, and commits more than 100 hours a year to continuing education with the leaders in specialty fields. His dedication to education coupled with his passion for providing individualized patient care makes Dr. Holcomb the ideal choice for outstanding dental care in Collierville, TN. Dr. Holcomb’s Collierville dental practice offers a wide variety of conservative, comprehensive, and cosmetic dental care. Conservative dentistry – We emphasize preventive maintenance so we are able to treat dental concerns at their earliest stages. This allows Dr. Holcomb to conserve natural dental structure and provide minimally invasive treatments when necessary. Our preventive care services include patient education regarding at-home oral hygiene habits, checkups, oral health screenings, dental sealants, fluoride treatments, and children’s dentistry. Comprehensive care – When developing dental care plans, we work with patients one-on-one to determine what treatments are best for their overall oral health, whole body health, as well as considering scheduling and financial planning. Starting with our preventive care measures, we offer a full range of dental services for children, adults, and seniors to treat any smile concerns. 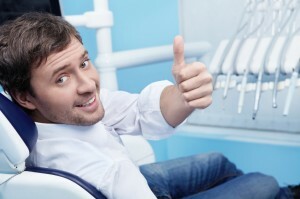 These services include dental implants, emergency dentistry, and sedation dentistry. At every stage of life, your smile develops with you, and Dr. Holcomb’s dental team is here to help you maintain a picture-perfect smile for life. Cosmetic smile restorations – At some practices, dentists separate cosmetic care from the other services offered by their team. Dr. Holcomb offers traditional cosmetic services like porcelain veneers and teeth whitening, but he also strives to restore the natural beauty of patients’ smiles while repairing tooth decay, gum disease, or other dental damage. For our Collierville team, all dentistry is cosmetic. Some of the beautiful smile restorations we offer are tooth-colored fillings, all ceramic restorations, and orthodontic treatment. For Collierville, TN residents in need of quality dental care, Dr. Holcomb and his team are the clear choice. Call to find out more about any of our services or to schedule an appointment today. We look forward to treating you soon.